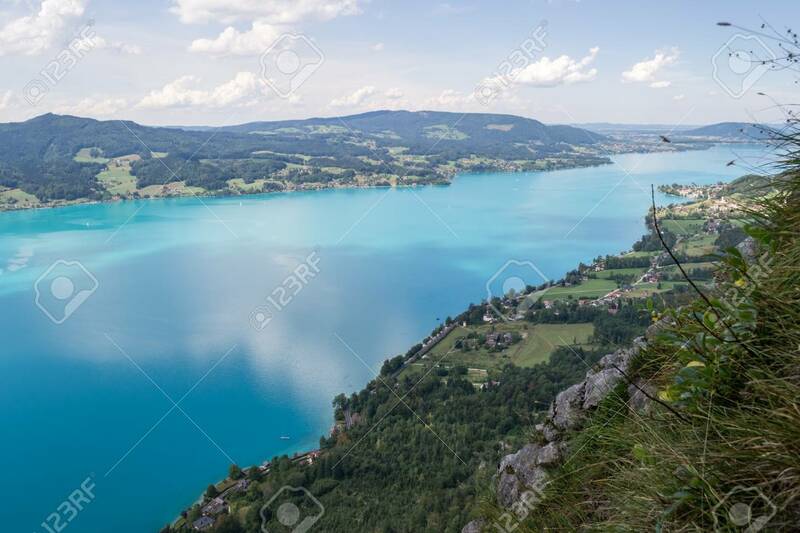 Attersee Lake In Austria, With Clouds Reflecting In, As Seen From Above, On A Clear, Summer Day. European Holiday Destination Near Salzburg. Banque D'Images Et Photos Libres De Droits. Image 119144670. Banque d'images - Attersee lake in Austria, with clouds reflecting in, as seen from above, on a clear, Summer day. European holiday destination near Salzburg. Attersee lake in Austria, with clouds reflecting in, as seen from above, on a clear, Summer day. European holiday destination near Salzburg.